While daggy Christmas jumpers are awesome in July, a daggy work Christmas party on the other hand is a no-no. After a year of hard work and kicking goals, it’s time to reward your team with an adrenaline-fuelled, fun-packed office Christmas party that will be the hot topic at the watercooler for all the right reasons! Health and wellness are a key focus for many in 2018, and for good reason. A healthy, happy workplace is a productive workplace, and considering the average full-time employee spends 40 hours at work per week, it’s not enough for people to practise health and wellness in their personal lives only. 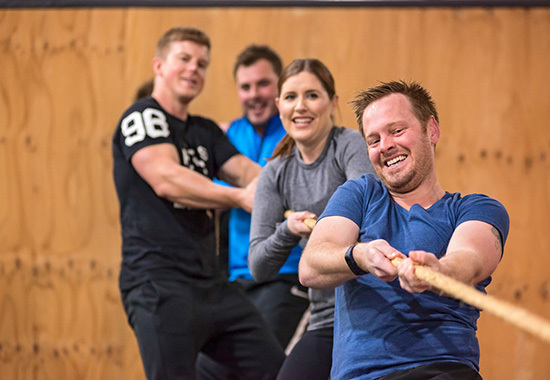 Many workplaces are now incorporating health and wellness programs into their offering including onsite yoga, meditation, jogging groups, exercise classes and healthy lunch options to keep the team feeling nourished, energised, appreciated and motivated. Don’t let all your health and wellness efforts from the year unravel during the silly season. 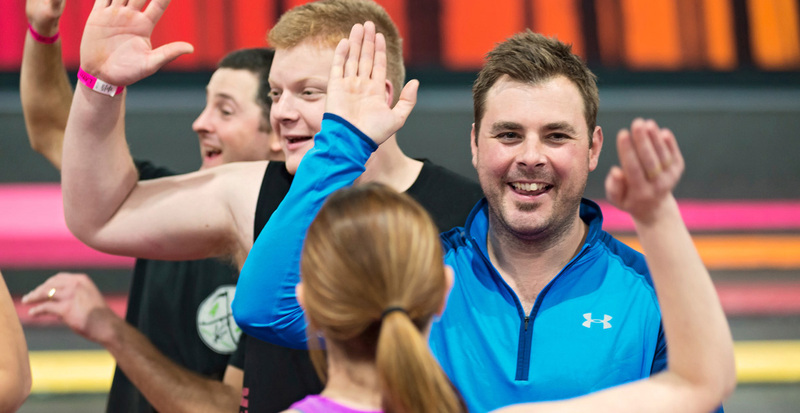 By throwing your office Christmas party at Latitude, you can set your team loose on the activity floor to get the blood pumping, the adrenaline flowing and the laughs rolling! We’ll take a natural high over a work Christmas party hangover any day, wouldn’t you? Networking is an important part of being a professional, and it goes beyond the boardroom. An office Christmas party at Latitude can help you instantly break the ice across the entire business. Mix and match different teams and challenge them to conquer the Amazing Race with their new buddies in tow. 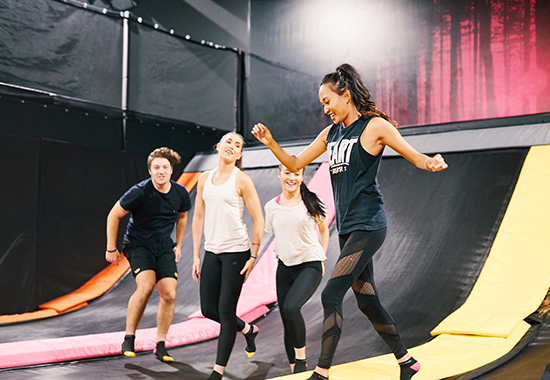 The relationships formed on the trampolines, obstacle course and in the climbing zone will far outlast this awesome office party. With a little effort you can make a ‘blank canvas’ space feel super special, adding atmosphere and a festive vibe to your event. Following an adrenaline pumping session, your group can retreat to your dedicated party room, which you can decorate as you wish (and we can help you). Want to put up happy snaps from the year gone by? No problem! Want to go a few steps further and roll out an 80s theme? Get the team to dress up (extra points for mullets and shoulder pads) and decorate your room with bold colours and prints from that iconic decade. Setting the scene and a theme will make this year’s office Christmas party one to remember. 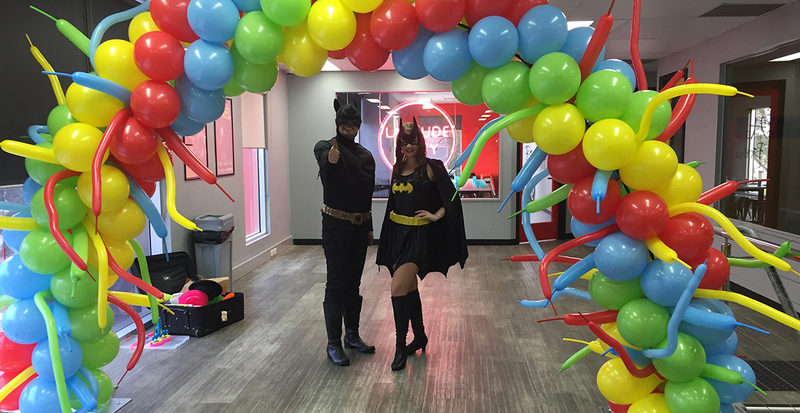 Liberty Financial's work party at Latitude - Batman-style! In the age of MasterChef, My Kitchen Rules and celeb chefs unveiling the secrets to cooking like a pro at home, people are pretty switched on in 2018 about good food and they won’t settle for anything less. Say hello to Latitude’s Basecamp Café! 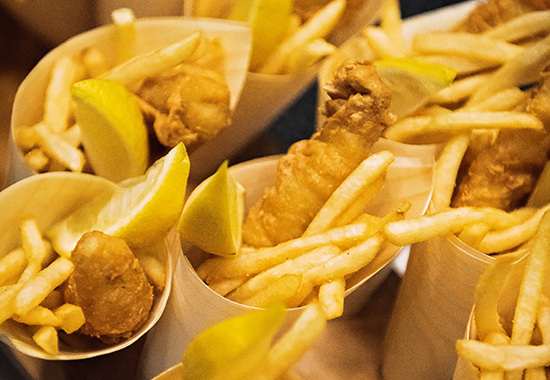 We have chefs onsite to serve up delicious bites and gourmet spreads that are made for sharing and encourage mingling. 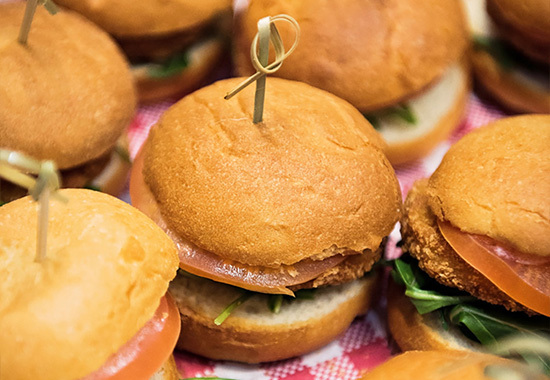 A three-course sit down meal has its place, but work Christmas parties are all about celebration and mingling and our various gourmet catering packages make sure the atmosphere is chilled out, interactive and of course delicious. Bon Appetit! If it’s not on Instagram, did it ever really happen? 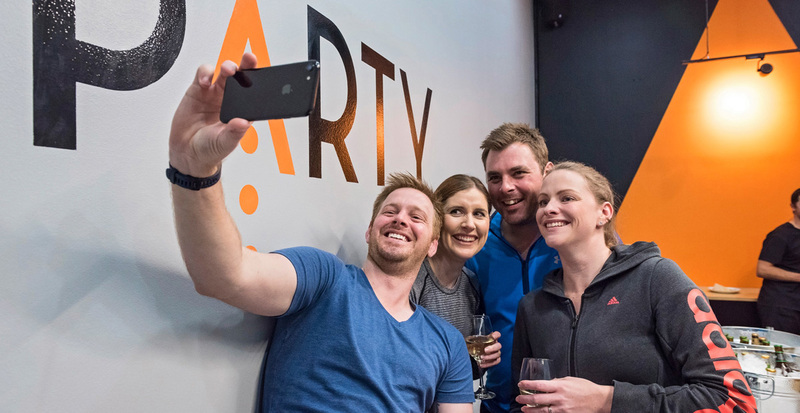 From boomerangs to slow motion vids of your colleagues’ face when he or she jumps off the Latitude 8m sky high bungee tower, we couldn’t think of a better place to get your Instagram on than Latitude! Not only will your staff have a ball capturing the action themselves (selfie sticks encouraged!! ), but we can organise a photographer or cinematographer for you or you can arrange your preferred source. This type of content may be awesome to share on your company’s social media to convey your unique personality to clients or it could simply be kept as a feel-good memento for the team. 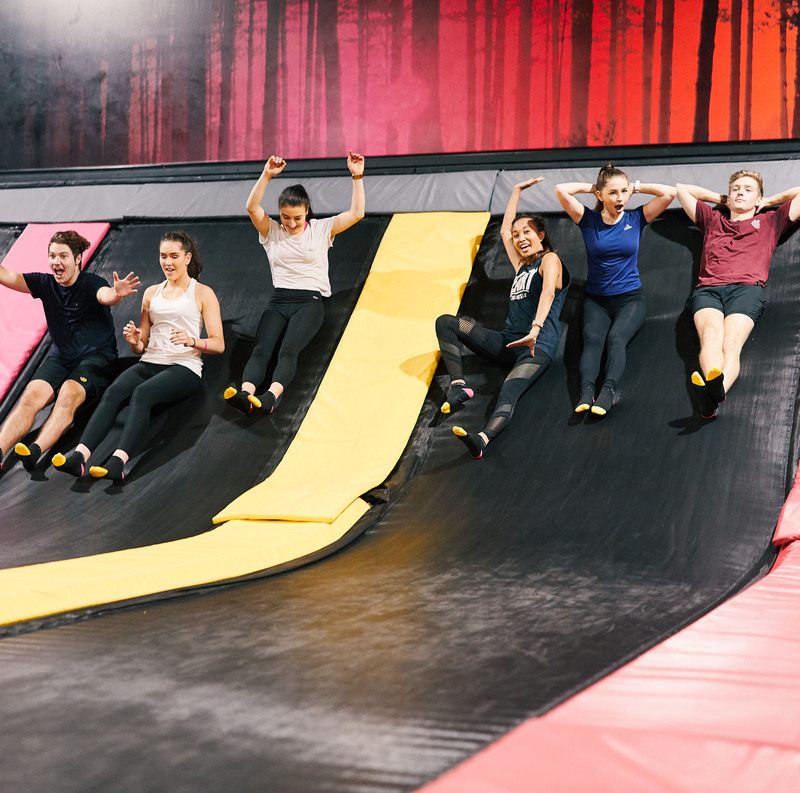 Be the trendy boss and take your crew for a bounce, climb and fly this silly season!